Keeping Faith in Practice is an addition to SCM's growing Practical and Pastoral Theology list. Most books in this field are written by authors from various Protestant backgrounds. Catholic teachers in this field are frequently asked by colleagues for suggestions of Catholic resources, and find themselves at a loss. The central subject of this book is an exploration of how theology engages with the dimension of practice in the life of the Church and contemporary society and culture. 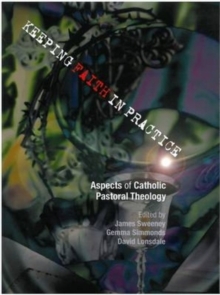 The book covers the main focal points of a Catholic view of pastoral/practical theology - its foundations and different fields.